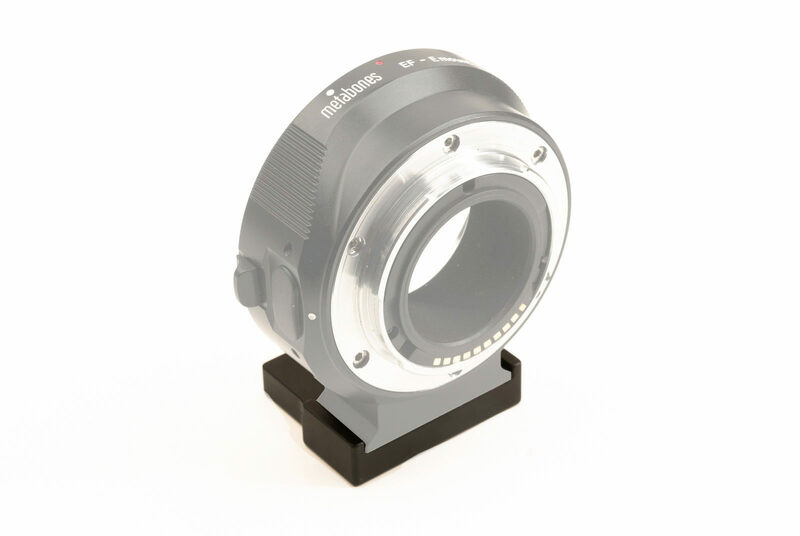 Metabones® Adapters are quite popular with Interchangeable Lens Compact Cameras, expanding the arsenal of lenses with models coming from long established manufacturers like Canon and Nikon. Although the latest Metabones adapters feature a tripod mounting foot, beeing Arca-compatible even, there are some restrictions and limitations when the users come to deploy a large diameter lens, a Battery Grip or a Tilt-Shift lens. In this respect, Hejnar PHOTO, who was the first to design an Arca-Swiss® compatible foot for the first generation of Metabones adapters, has developed a few solutions to match with the Metabones Generations 2, 3 and 4 of adapters. This is the largest model, comprised by a S shaped Foot Extension for the Gen 2, 3 or 4 adapters and Hejnar L bracket Base 2 (preview). 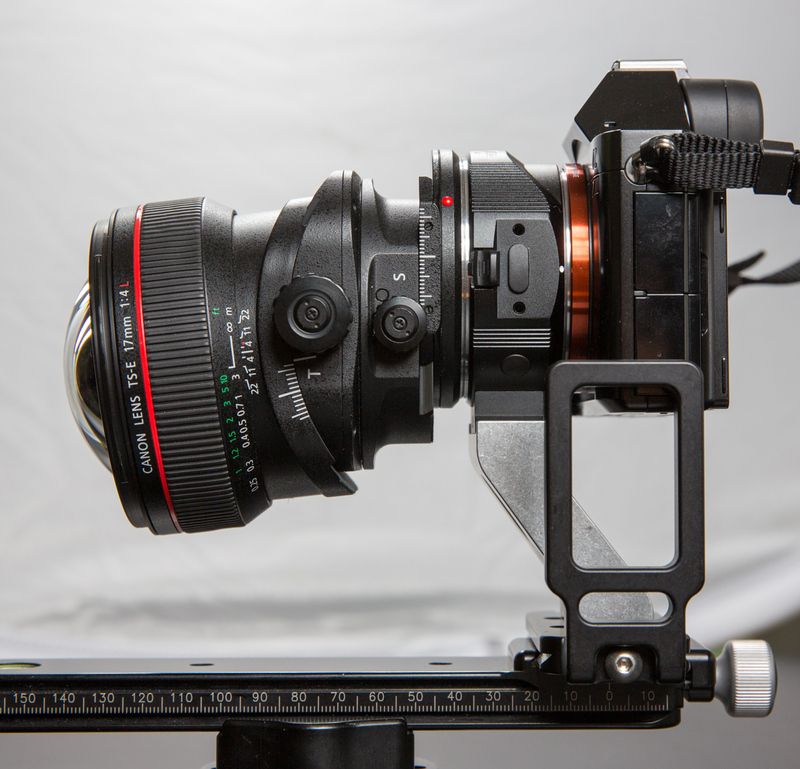 As the top and base of the long foot are displaced allows the use the camera and Metabones adapter with tilt shift lenses or a battery grip (shown further down). 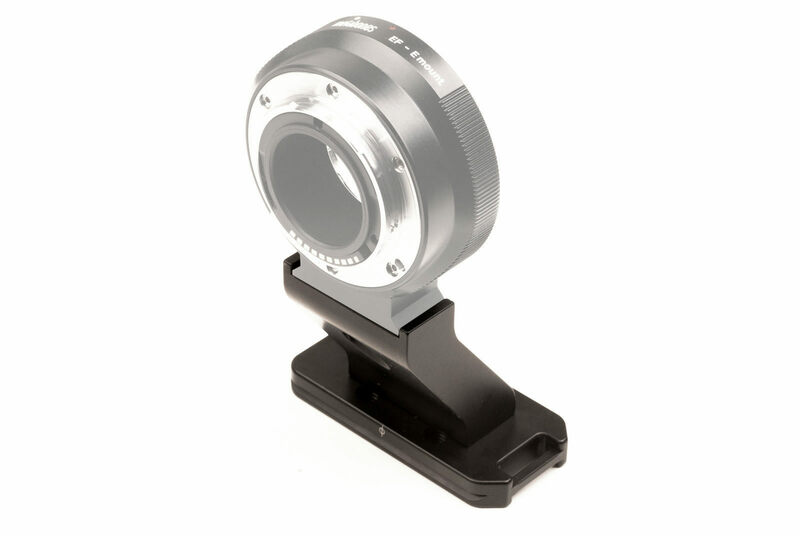 Hejnar Photo Metabones Foot Assembly elongates and shifts the adapter's foot mounting point either forwards or backwards. 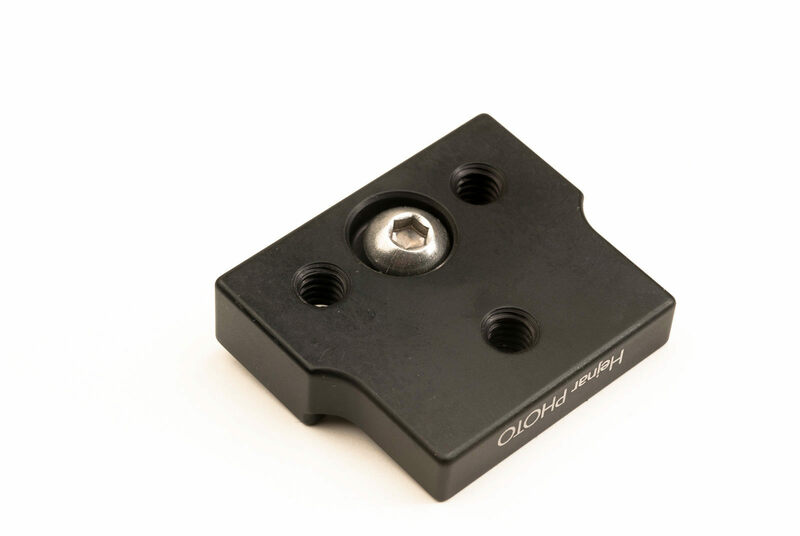 It simply attaches to the existing Metabones foot by one Stainless Steel 1/4"-20 screw. Two lips on the top platform deprive the foot from twisting. As forementioned, the Foot Assembly is comprised by the S shaped vertical foot extension and the Hejnar L Bracket base 2 which in turn attaches to the foot base by two captive SS 1/4"-20 screws. 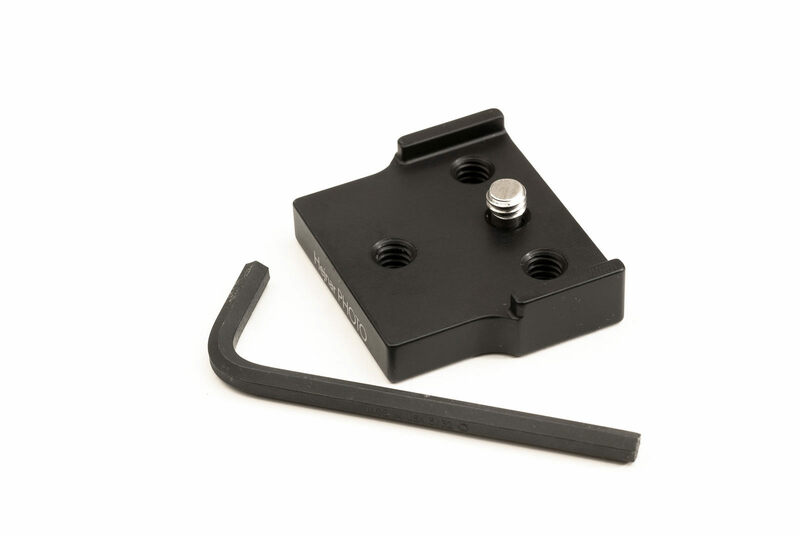 The L Bracket Base 2 is equipped with two M3 safety stop screws at the bottom as well as with four (4) tapped 1/4"-20 holes for direct mounting on a pod with equivalent stud without the need of removing the Foot assembly. The rear view of the Hejnar Foot Assembly shown above, demonstrates the shift of the mounting point forward. 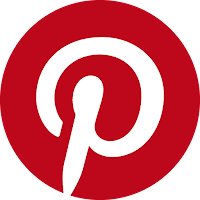 Since there is no problem mounting the L Bracket Base 2 in any orientation, (i.e. with strap loop on either of the sides), therefore the elongated Foot can also be mounted on the Metabones adapter facing backwards. 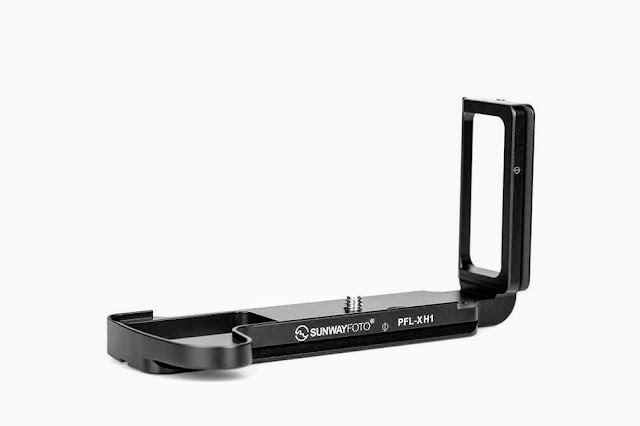 Utilizing an L Bracket Base with the elongated foot besides shifting the mounting point at a distance from the camera, it allows you to add an optional Hejnar L bracket side of different sizes (purchased separately) forming an L bracket for easy transfer from landscape to portrait orientation. Canon TS-E 17mm f/4 L on SONY a7 via Metabones adapter. Hajnar Foot Assembly prototype set facing backwards and clamped on an RRS nodal slide. 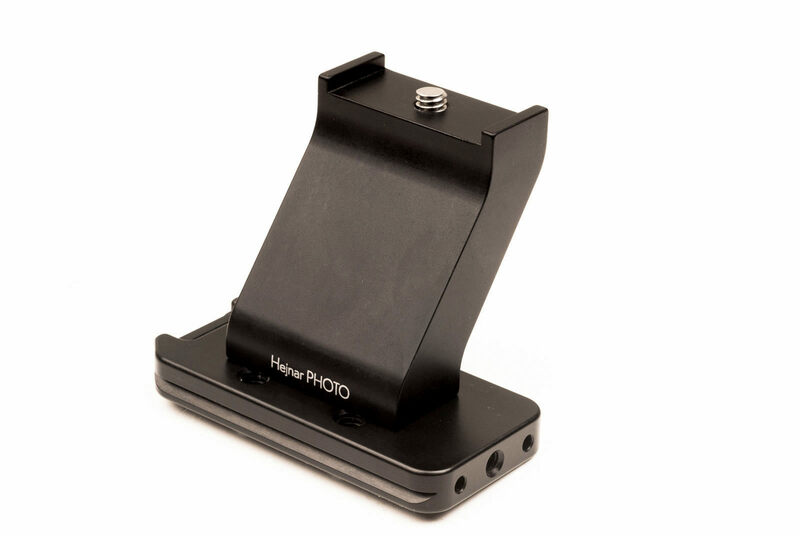 The Hejnar Base 2 is equipped with a vertical Side 2 forming a Hejnar 22 L Bracket which enables easy transition from landscape to portrait orientation at the adapter level. 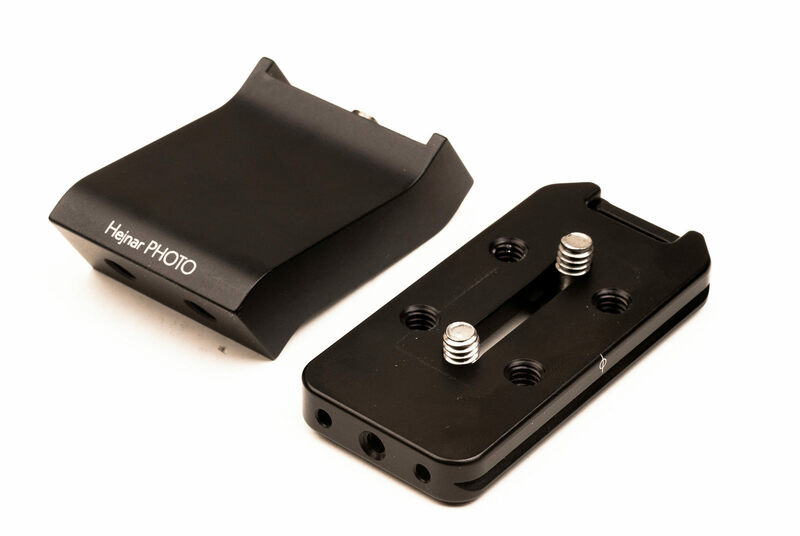 Further, thanks to the shifted mounting point either forwards or backwards between components, the user has additional space between the camera and foot base. This may alloow the simultaneous use of L brackets, one mounted to the Metabones foot without having to remove another that is mounted directly to the camera already. Furthermore, the shift is a perfect solution for the use of a battery grip. Canon TS-E lens on SONY a7 camera via Metabones adapter. Hajnar Foot Assembly prototype set facing forwards and clamped on an RRS nodal slide via the Hejnar 22 L Bracket. The camera is also equipped with an L Bracket as it would also be equipped with a battery grip. A shorter model with somehow the same attributes of the one previously mentioned is the Hejnar Extender / Spacer for Metabones Gen 2, 3, and 4 adapters. As an add on unit the extender adds more clearance than the Metabones adapter foot acting as a spacer, for mounting on monopods and/or tripods when large diameter lenses are used. On the other hand it may also be combined with one of the Hejnar Universal modular L brackets. 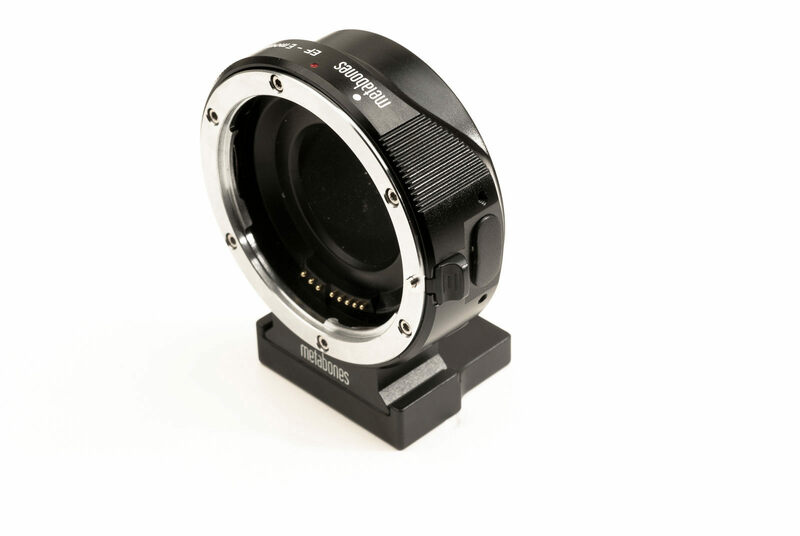 Hejnar Extender / Spacer for the Metabones Gen 2, 3 and 4 Adapters is actually a wider platform for the Metabones foot to sit on, featuring two lips acting as an anti-twist mechanism and one 1/4"-20 captive SS screw in order to be attached on the original Metabones foot. As usual the appropriate Allen hex key is also included. There are three more 1/4"-20 tapped holes on the Extender. 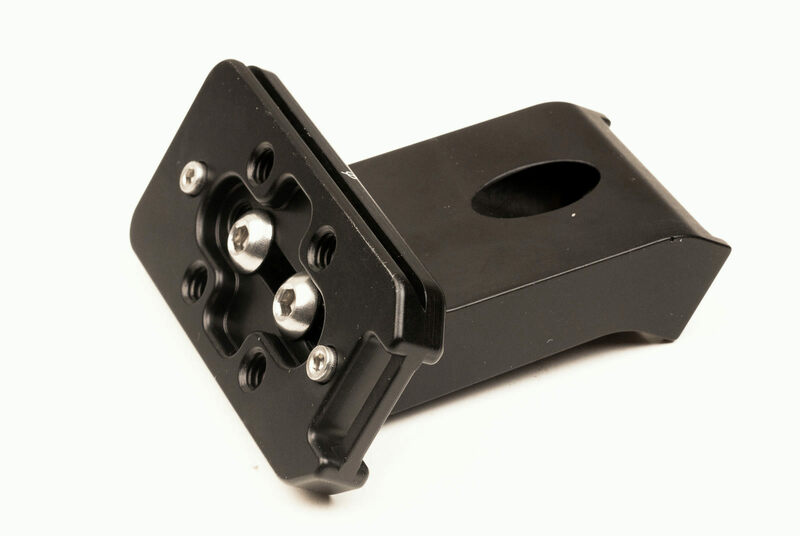 The two tapped holes beside the mounting screw can be used to attach a Modular Hejnar PHOTO Universal Camera L Bracket and the third one for direct mounting on a pod with relevant stud but shifted as explained below. 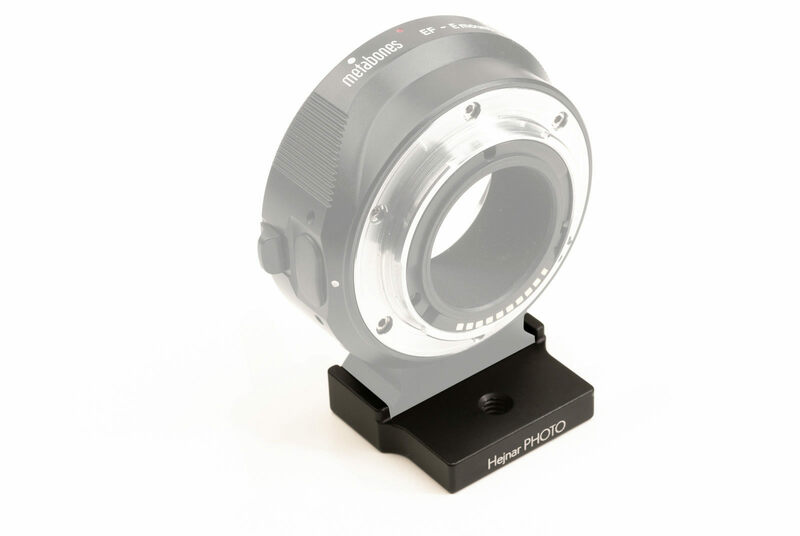 The Hejnar Extender Spacer can be attached to Metabones Adapter foot in ether direction facing backwards or forwards, based on individual lens balancing requirements. 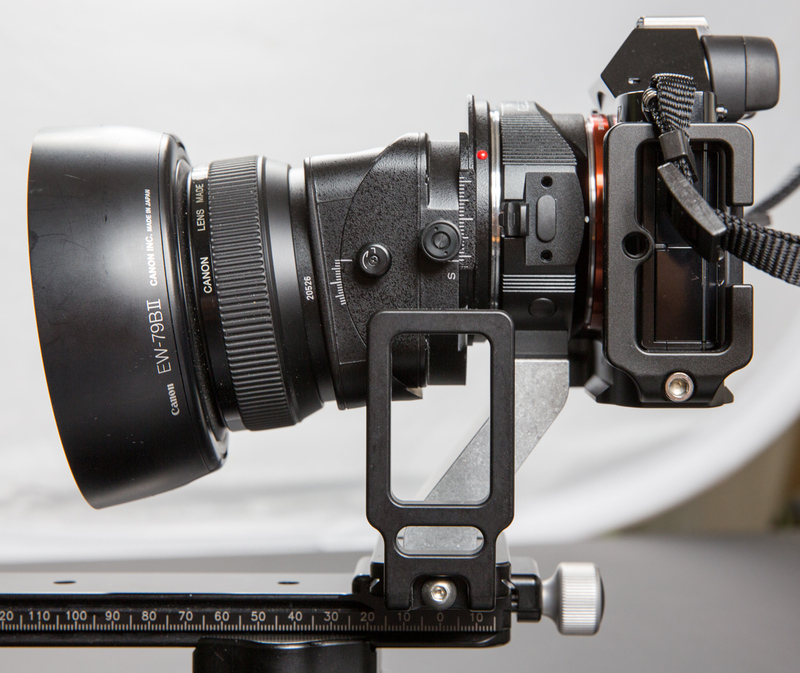 Hejnar Extender Spacer for Metabones Adapter mounted on Metqabones Adapter facing backwards (to camera side). 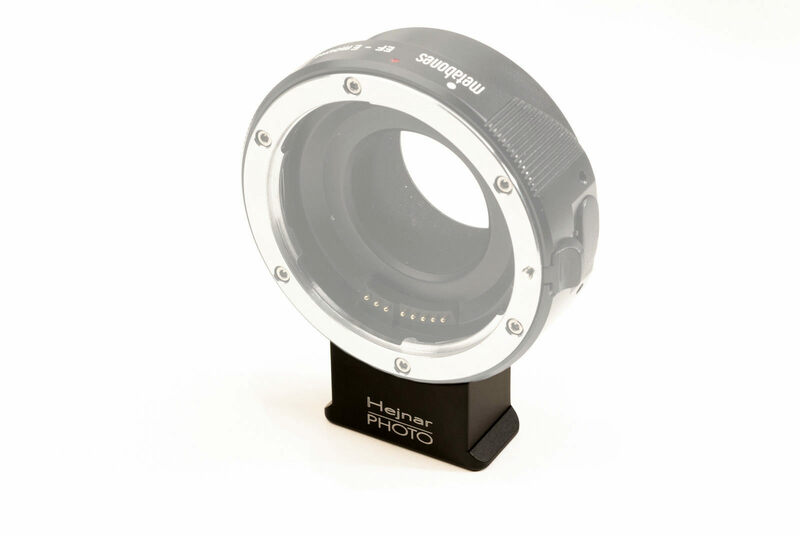 Hejnar Extender Spacer for Metabones Adapter mounted on Metabones Adapter facing forwards (to lens side). 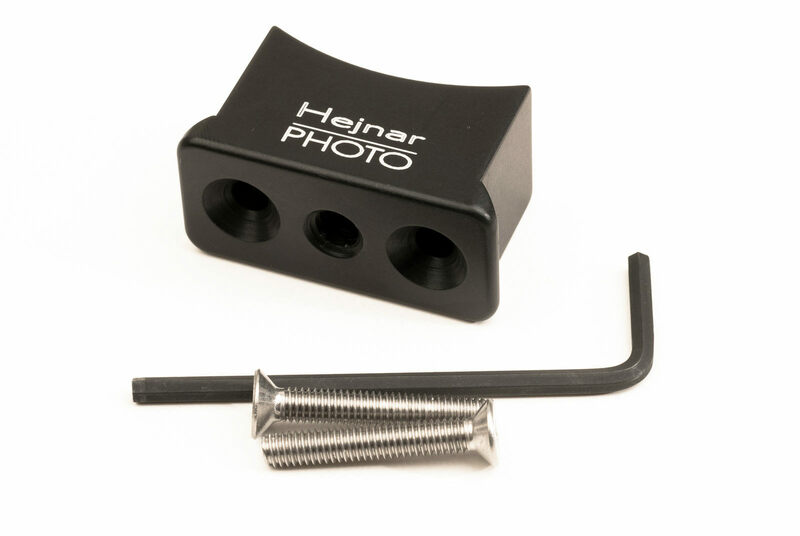 Hejnar Foot Replacement for Metabones Adapter is a single block of 6064-T6 Aluminium equipped with two countersunk screw sockets and two long SS mounting screws for direct mounting on the Metabones Acapter. As usual the appropriate Allen hex key is supplied as well. When we put Hejnar Foot Replacement for Metabones Adapter along side the original Metabones foot for comparison, we can see that it features exactly the same Arca dovetail and tripod mounting socket, while its height is more than doubled in order to give enough clearance below the adapter. Hejnar Foot Replacement shown mounted on Metabones Adapter. 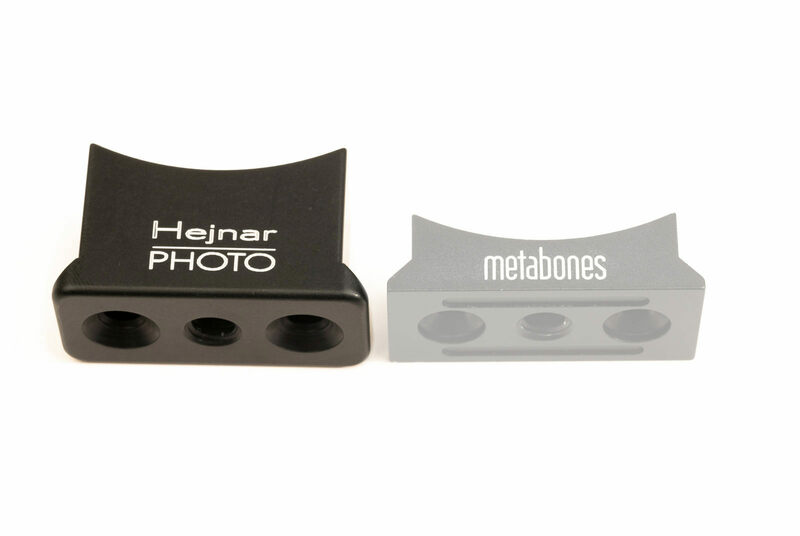 For the record, Hajnar Photo offers a few more solutions for the mounting of Metabones Adapters with simple in line spacers and/or L bracket mounting option which you may find in the appropriate section of Metabones Adapters in the Hejnar Photo store. 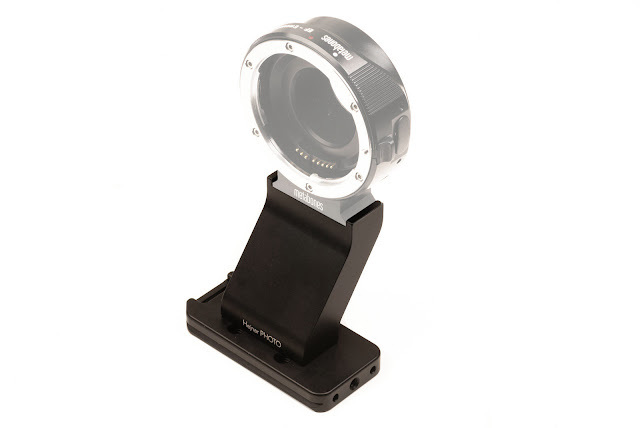 Current prices are US$ 95.00 for the Metabones Foot Assembly, US$ 35.00 for the Metabones Extender Spacer and US$ 35.00 for the Metabones Foot Replacement. All prices plus Shipping where applicable. All above feet, extenders and spacers for the Metabones Adapter are available from the Hejnar PHOTO on-line Store.